Looking for neighborhoods near downtown Austin? Living in neighborhoods near downtown Austin is a great way to cut down on your commute. If you think you can’t afford to live near downtown, we’re here with details on how you can make it happen! Check out these lesser known and more affordable areas near Austin. Bouldin Creek is one of the funkiest neighborhoods near downtown Austin. It’s close enough to allow lots of residents to walk or bike to work. Many apartments in the area are dog-friendly with no breed or weight restrictions. Hardwood floors, gas cooking and washer/dryers are available in some units. 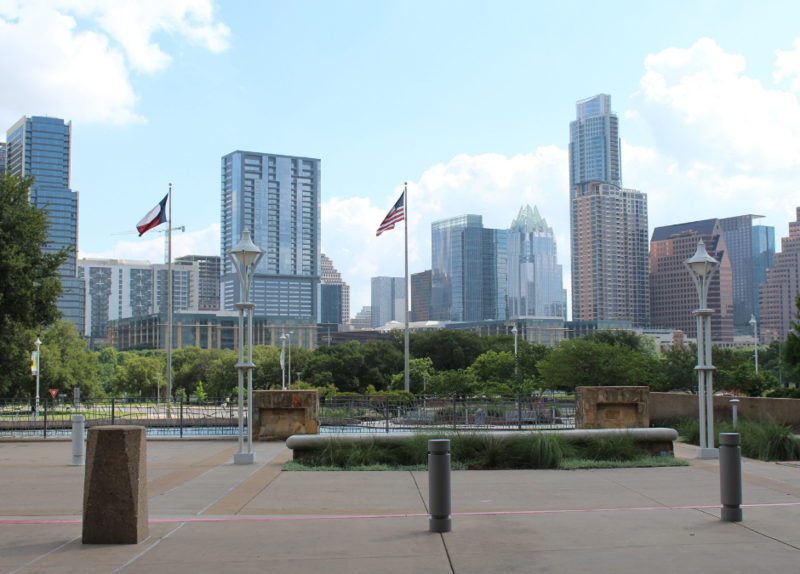 You can find apartments with downtown views an easy walk from the Long Center and Auditorium Shores. Prices increase based on the age of the complex and amenities offered. The East Riverside and Oltorf neighborhood is southeast of downtown. It provides residents with the ability to bike to work via the boardwalk, plus lots of public transportation options. Rental rates for apartments in this area vary depending on proximity to Lady Bird Lake and the age of the complex. If you’re willing to move your search a couple of blocks away, you can save a ton of money! Travis Heights is one of the oldest neighborhoods near downtown Austin. Located in 78704, Travis Heights is just south of downtown between IH 35 and Congress Avenue. Amenities in Travis Heights include luxury pools, lake access and downtown views at the most chic communities. Many older communities even have fireplaces. You can easily walk or bike to work from your perch in Travis Heights! Property prices change constantly. To get exact prices on properties in these areas, contact us today! Ready to search for downtown apartments?